2015 ended poorly. In fact, without going into great detail, the year left me in a state of near constant anxiety, insecurity, sadness and confusion. When I have fallen into a state of spiritual disrepair, I pray; but I am not satisfied with the way I am praying. Prayer, I should add, has nothing to do with one’s religious affiliation. Prayer is universal and cosmic in nature. What do I not like about the way I have connected–or not connected–with God? I wasn’t sure until this morning. Sometimes, what you THINK is bothering you is simply a screen or a deflection from what is ACTUALLY bothering you. Praying for a particular outcome does not work. For me, there is no point praying that I won’t die or get sick, because it is our peculiar human destiny–along with everything in the natural, material world–to get sick and die. I might hate that, find it unfair, repugnant, crazy, terrible, and so on, but I can’t change it, and I’m not going to pray for the impossible. When I was diagnosed with a life-threatening illness 18 years ago, I did not pray that God would spare my life. I asked only that the result of the process leave me more spiritually evolved and more healed as a broken human than I was before. I didn’t die. Once again, I survived. I did grow a tremendous amount in the direction of God, but what really upset me was the reality of what that means. Following God can be terribly painful. It means letting go of the people who have hurt you, giving up homes, family, friends and sometimes, your very life. Most of all, following a universal principle means losing your fear. You are forced to lose your fear to follow God, even the biggest fear of all: your physical death. Did I succeed in losing my fear? HELL NO. However, I did learn a huge lesson: as long as you try to control what happens to you and to other people, you will be miserable and afraid. I can’t control someone else’s path in life, even if that path horrifies me, upsets me or confuses me. I can’t even control what happens to me, much less other people! My job is not to micromanage change, but to accept it and attempt to understand it. Of course, I can take productive and proactive steps to change my circumstances, and one should always move forward on a path towards a goal; but if the path floods or you get lost along the way, what matters is your resilience, your faith and you ability to see God through the obstacles. I have discovered that it is far better to pray for someone’s continued, spiritual evolution and healing. I can’t know what form that will take. If I pray for one’s spirit instead of one’s body, I have allowed God to decide the form that the healing will take. That is what I am attempting to do for everyone I love: I won’t pray that Uncle Todd stop smoking, but I will pray that he is spiritually transformed to such an extent that he will no longer wish to harm his body, the temple for his soul. This is all we can do, pray for enlightenment, for progress, for deep understanding. The particular way this progress will manifest itself is not our concern or within our power to determine. When I thought I had only a few years left of life back in my early thirties, I understood it was useless to ask God to spare my life. If I needed to die to evolve in the next life, then so be it. If I was supposed to lose my life at that time in my development, then my job was to accept it as gracefully as possible and find a way to make that time mean something. For in truth, we are ALL on borrowed time and we ALL have to learn this lesson, whether we have only a few months to figure it our, or a few decades. In the end, we have the same task; some of us have to learn it faster than others. None of us escape suffering, and it is now my belief that most of us don’t learn anything at all unless we’re in pain and we figure out how to relieve that pain through considered and thoughtful prayer and meditation. My particular case is odd, since I was dying at age five from kidney problems. I truly was not expected to survive, and I knew it then. What has been the strangest experience for me in this life is to have survived at all. I think that is why I am often confused about my path, about what I am supposed to do with myself. That is why every year I make resolutions to figure out what my mission is as Kirsten in this life. Death seems oddly more familiar to me, and what I mean by that is not annihilation of consciousness, but that state one is in between lives. I came into the world very strongly connected to my previous life (I have written about this before in previous posts on this site) and remembering a great deal of who I used to be. As a child, I felt that I was ‘going back’ to a place I had been before that was much more familiar than the hospital and my family. I couldn’t explain where that place was or what my role was in it, but I KNEW it. Now, halfway through my life, I still feel that I am not entirely HERE. On a purely animal level, death terrifies me. The physical self is hard wired not to die. On the level of consciousness and identity, death means very little. It’s a gateway to a more understandable world. I was there before, I’ll be there again. I do believe with all my heart and soul that prayer works and is effective, but not if the prayer is directed towards specific, concrete, ego-driven goals or desires. The prayer must not be grounded in fear of loss. 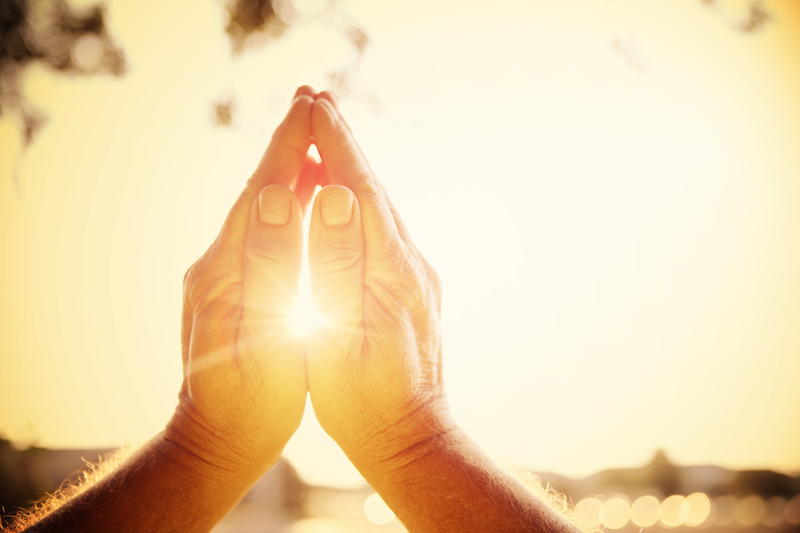 The only prayers that work are those that ask for love and light to do their work in and through us. We must heal our fractured, fearful minds before the real work of transformation can begin. Many blessings to you and yours in 2016.